Robin Thomas Reserve is located on Harris St, Parramatta. Toilet & shower facilities are available. Wednesday Lunchtime – Mixed Soccer; 6 aside soccer, with max. 4 guys on the field. 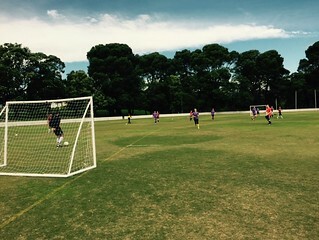 Wednesday Lunchtime – Mens Soccer; 6 aside soccer (girls are allowed to play). Wednesday Lunchtime – Mixed Touch; 6 aside touch football, with max. 4 guys on the field. Wednesday Lunchtime – Mixed Netball; 7 aside soccer, with max. 3 guys on the court. Access via corner of O’Connell St and Victoria Rd.